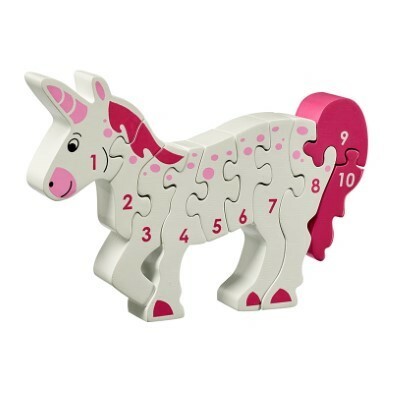 Brilliant 10-piece chunky wooden magical Unicorn puzzle. 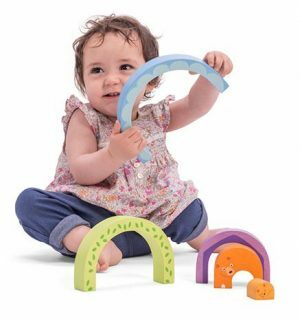 Perfect for learning through play. 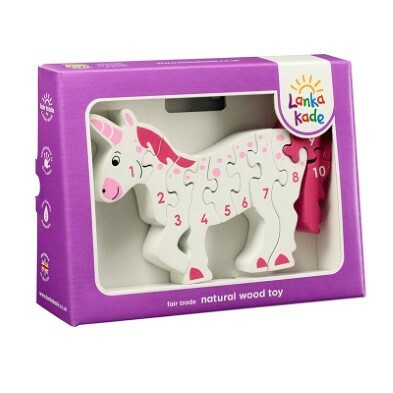 Little ones learning to count slot the number sequences together to create an enchanting Unicorn . Handcrafted from sustainable rubber wood. 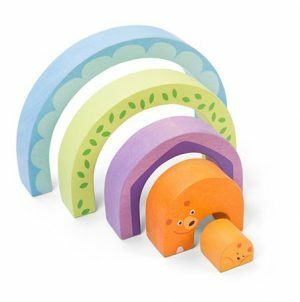 Fair trade toy. 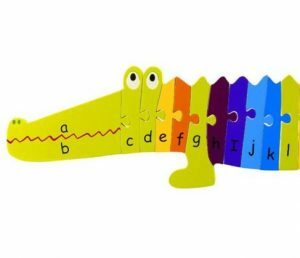 The Toy Centre says… shop our range of Letters, Numbers and Counting Puzzles . 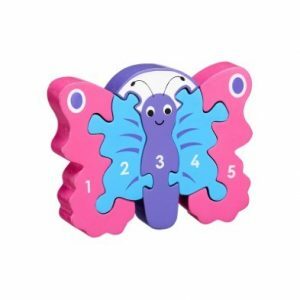 1-10 jigsaws includes dogs, dragons and butterflies.